There's always a danger when a science author puts themselves at the heart of their book that it can come across as 'Me, me, me!' - but Jonathan Losos has a very amiable personal style that gives the impression of having a chat with the author over a beer - and some of the best parts of the book are those that talk about Losos's own work. 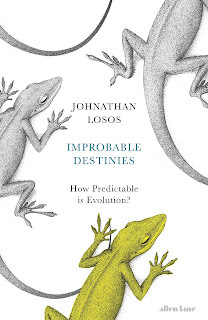 Things get much better when Locos tells us about his own attempts in experimental evolution - one of the central threads of the book, that when ideas moved from Darwinian evolution over eons to the possibility of very quick adaptation, it was possible to put evolution to the test experimentally over periods of years. Cleverly, Locos picked up on a pre-existing experiment looking at something totally different that had involved starting lizard colonies on small islands. He was able to experiment with their development and adaptation to environmental issues and show that the populations converged on similar solutions (at least until population after population was wiped out by a hurricane). This increased level of interest continues to a degree when we get onto other people's experiments with evolution, though again we get something of a repetition problem. 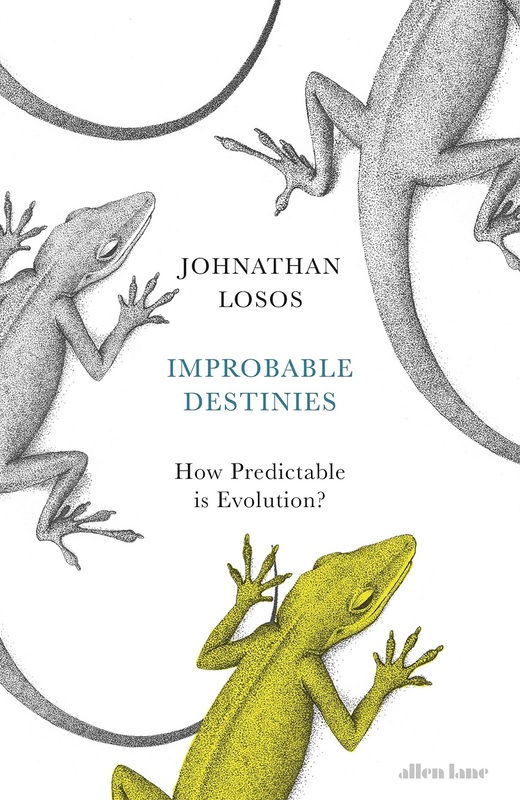 The trouble is, I think, partly that Losos is so immersed in his subject that he assumes we will find every detail fascinating too, and that science requires lots of boring repetition to establish a theory. This doesn't necessarily make for engaging reading, and a good science writer has to get a feel for when to use a few examples rather than plodding through endless detail as a scientist would expect to do. Despite these issues (you can always skip a bit), I repeatedly come back to the warm, approachable Locos style and the genuinely interesting (even to a non-biologist) aspects of how much evolution will tend to converge on similar solutions to environmental pressures, but how much novelties will also tend to arise - meaning the answer to the old Stephen Jay Gould 'Replay life's tape' idea is that sometimes it will be very similar, sometimes it won't. Incidentally, the blurb suggests this focuses on humans and whether life on other planets would end up fairly humanoid - that is certainly mentioned in the text, but it's far more about lizards and the like. This is a book that deserves to be widely read.